Villa Del Carmen is a stunning private home located in the heart of Miramar Beach minutes from shopping and steps from the beach. This home is updated and pristine providing exceptional accommodations while hosting a large family. 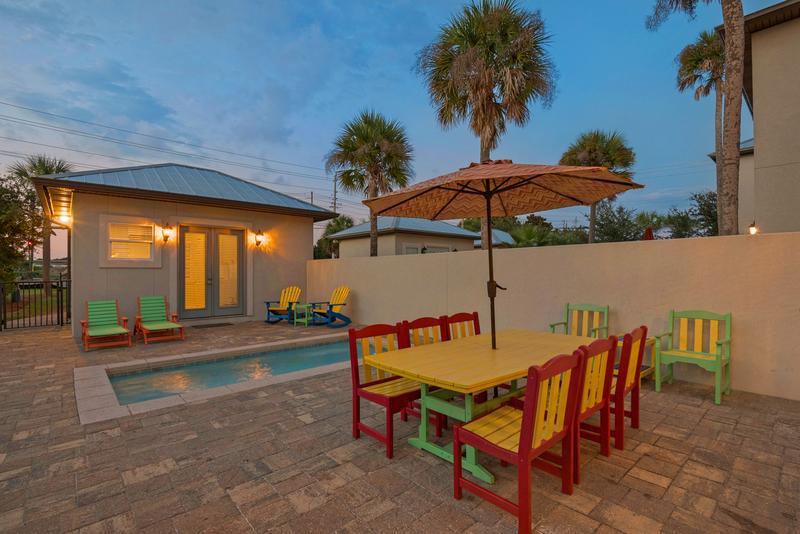 Getting to the beach is a breeze while walking 25 steps though small beach neighborhood and down the private boardwalk to the sugar white sandy beaches you can't wait to get your toes in between. Villa Del Carmen is an updated modern home with a desired open floor plan throughout the first floor. The kitchen features granite counter tops, stainless steel appliances, and a breakfast bar with lantern style pendant lighting. The five-burner gas stove is great for perfecting those large family meals. The dining area comfortable seats six with additional seating at the breakfast bar. The living room is just off the kitchen providing seating around a large flat screen T.V. 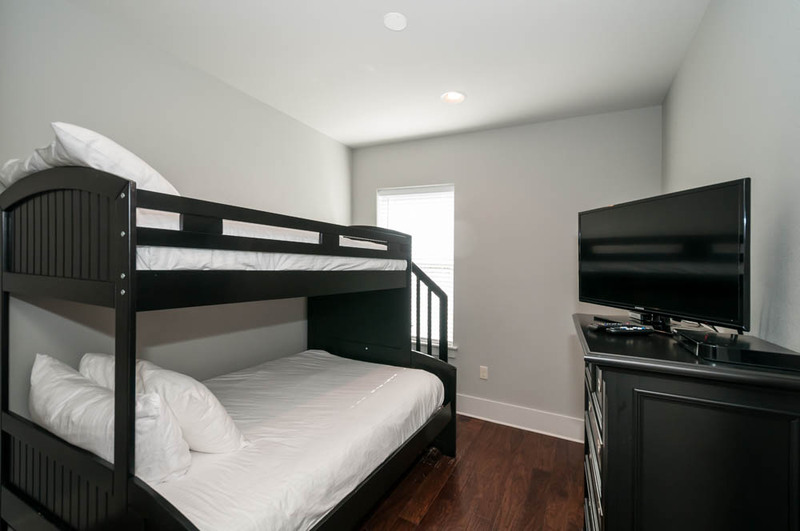 All Bedrooms have a flat Screen T.V. 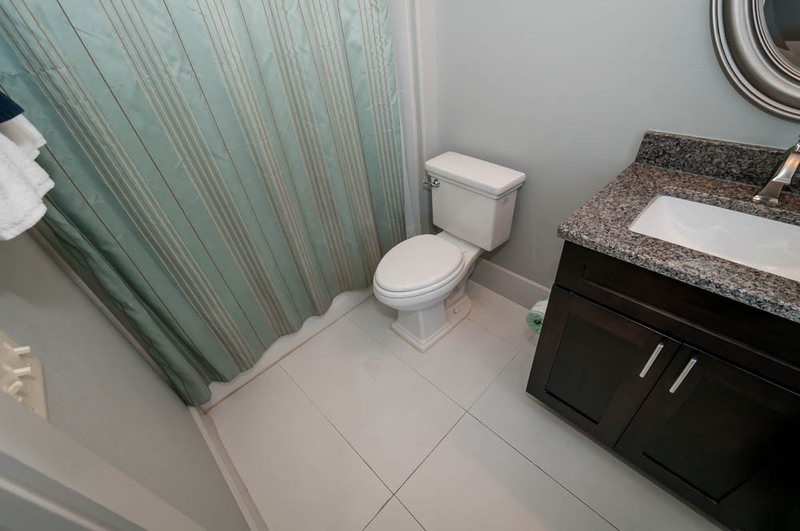 Master King: Private full size bathroom. 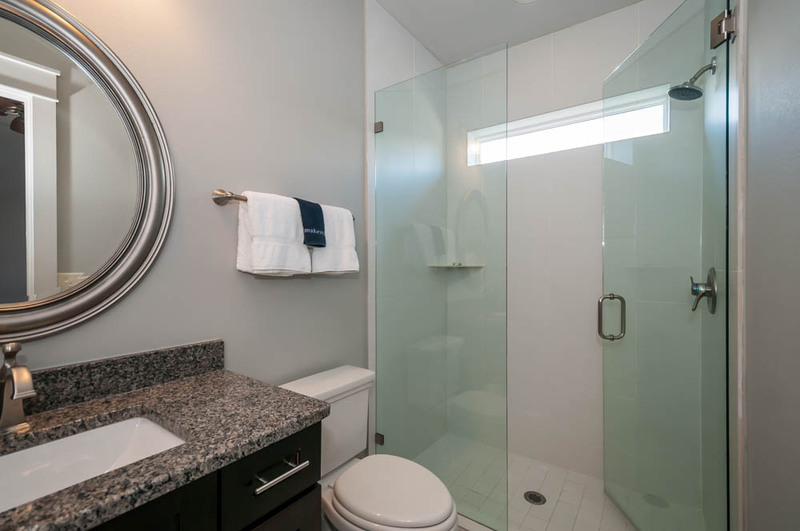 Guest Queen: private bathroom with a stand-up shower. Villa Del Carmen features a Guest Suite Just off the pool area. This Suite features a king bed, kitchenette, and full bathroom. Perfect for any guests in the group needing a little more privacy. The pool area is a relaxing court yard with plenty of seating around a splash pool 6 1/2x14 3 ft deep. Perfect for perfecting your Florida tan while cooling down from the summer weather. For a small fee, the pool can be heated. A private gas grill is provided if you wish to BBQ while enjoying the sunshine and salt air. This home is pet-friendly making it an easy decision to bring the dog for this family affair. ** Please note that there is a $200 non-refundable pet fee if you are bringing a pet. If you book online it will be added within 24 hours by our team. Two dogs max and they must be under 30 pounds." Villa Del Carmen provides impeccable accommodations resulting in a memorable vacation. Other things to note: Starter packs including toilet paper, paper towels, trash bags, dish soap, shampoos, and laundry detergent are provided. Depending on your length of stay, please plan accordingly as you will be required to replenish these items yourself. Book now and enjoy FREE golf, FREE Dolphin Cruise, FREE snorkeling, FREE parasailing, FREE Baytowne Adventure Zone for each night of your stay! **One ticket is provided for each activity per day NOT per person** They cannot be saved and combined. Activities are subject to availability and partners participation can change at any time. The Family Fun Package does not apply to stays that are longer than 14 nights. We enjoyed our stay. The house look just like the picture. I rented before during my stay in Orlando and when I got to the home I could tell it wasn't being maintain. It needed alot of repairs. But this home was well maintain. It was clean, the fixtures was nice. I would rent this property again. It was 14 of us, we had plenty of room and steps away from the beach. The entire family enjoy them self. The property management company took more time to respond to queries while we were there. In five years of extended family vacations, I have to say that this home was one of the best we have found. Everyone had a queen or King size bed with private bathrooms for every bedroom except for one. The gated outdoor area was perfect for a family with toddlers and a dog and the walls gave us privacy. The property management company was helpful and available during our stay. The only downside may have been that the kitchen needed more utensils, dishes etc. Otherwise clean and comfortable. As an added bonus, the pool house allowed my parents to have their own private suite away from grandkids. Nice home, perfect for our large extended family. Close to beach. Nice courtyard area with small pool.Had a few maintenance issues with house, but management company responded immediately.Will definitely stay here again. The house was as advertised and close to everything. There is a bit of a walk to the beach and there is not a shower station coming off the beach. But, it is an easy walk and given the proximity to other places its not a bad trade off. Beds were comfortable and the house was very clean and modern. We would stay here again. We loved staying at this met our needs wonderfully. The property description was accurate and the property was clean.We had a problem with the upstairs A/C and they came out and fixed it immediately on Saturday night.The house is about a 5 minute walk to the beach and the beach access was great.Some suggestions we have are to change out the couch and possibly add more seating in the living area.The cloth chairs in the living area had tears and the wood legs were very wobbly. A larger dining table to accommodate the number the house sleeps would have been helpful.The furniture outside was fantastic and was great during the day.I would stay here again. We were pleased with everything. Just wish we were closer to the beach or had a golf cart? Thank you for your review of Villa Del Carmen. The house is about 50 steps to the private boardwalk. The golf cart may be good for driving along the Scenic route. This home is at a great location in the heart of Miramir Beach.The pool and outdoor area was very nice. 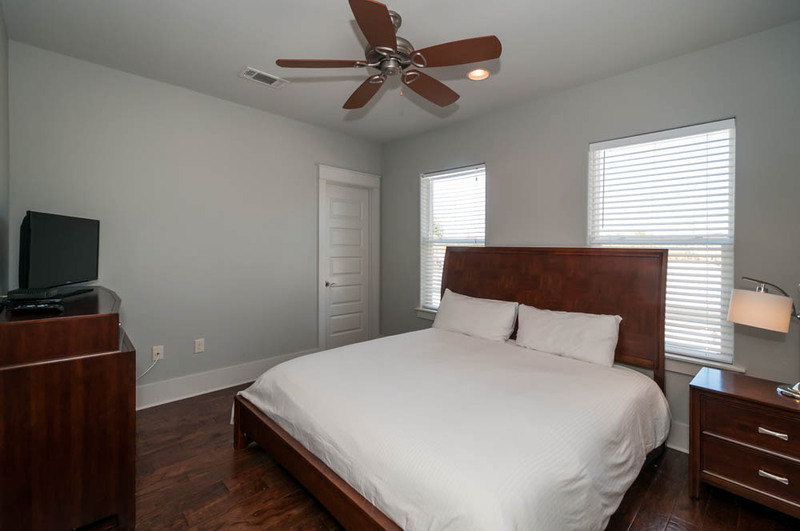 Also, Very close to Chik Fil A to satisfy our appetites :) It is a spacious home but should have more furniture for a home that sleeps 16 people. The kitchen table only seats 4 and the living room has 1 run down couch and 1 side chair. The couch bed was also broken so we had to take the mattress out and put on floor for the kids to sleep on it. A few other items missing from the home were an iron, clothes hangers, hair dryer, rugs in all bathrooms, and enough towels for 16 people. We stayed in the house 2 doors down earlier this year and it had all items that were missing form this home. I think if you added these items and received new furniture it would be a perfect spot for a large family. Thank you for leaving a review! We will get the sofa sleeper fixed and add the iron, clothes hangers, and hair dryer. The rugs most likely were sent to the wash. The house was beautiful, spacious, well decorated and clean. The pool was sooooooooooo convenient and fun. The beach was soooo close and so was shopping. WONDERFUL and FUN place to stay.The grandkids said they" wanted "to stay forever"Thank you for such a great, relaxing week.We needed it. We are so happy to hear you enjoyed your stay! Our stay at Villa del Carmen was great! Thank you to the staff at Destin Getaways. The house was the right size for our family of 16. The house was clean and spacious. Our walk to the beach was only 5 minutes, if even. 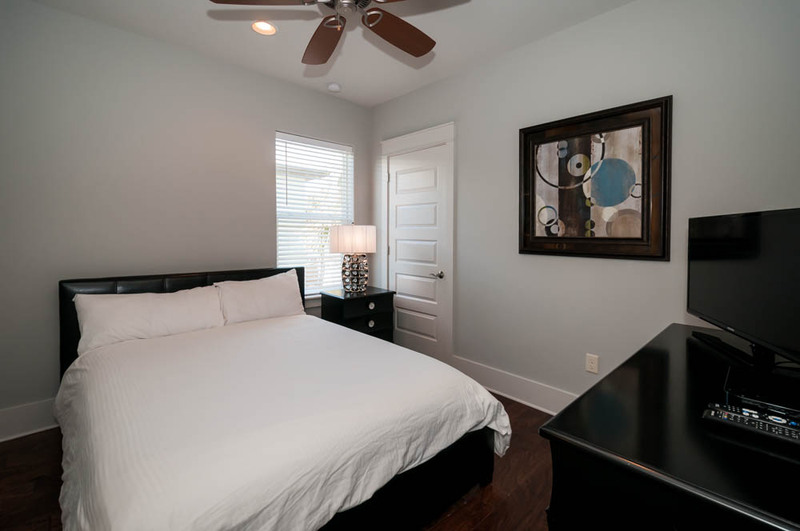 We will definitely stay with Destin Getaways Vacation Rentals again. See you next year! Destin Getaways is so happy to hear your vacation was great and everything you expected! We cant wait to host your next vacation!